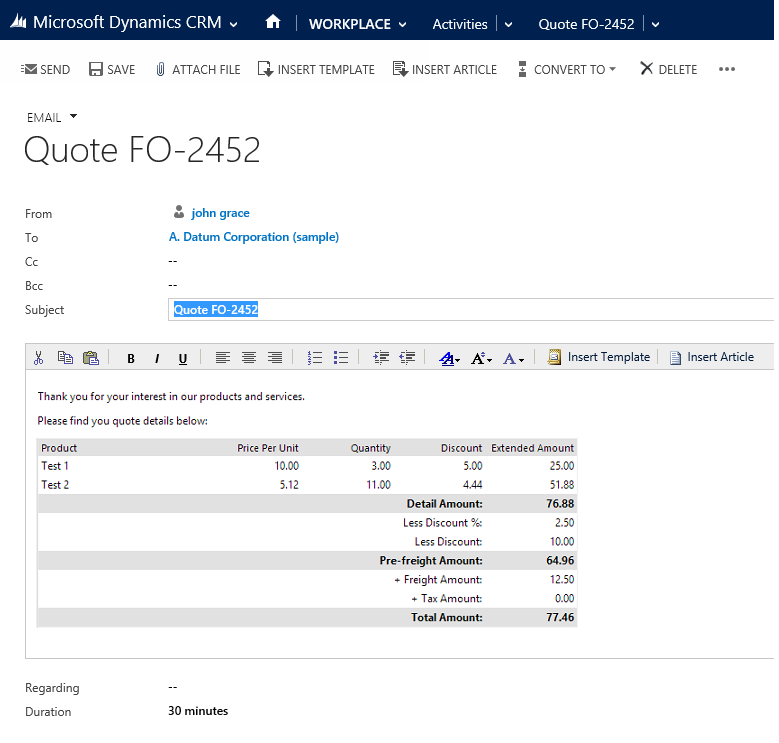 In this scenario we would like to send nicely formatted quote emails to customers which contain the product line items and totals in a table. The out of the box method of running the Quote Report, saving as a PDF and attaching to an email can be replaced by simply running a workflow. This is a fairly advanced formula scenario and requires HTML formatting knowledge if you wish to tweak the output from what we provide. This same method could be used to create emails with Order and Invoice data, or wherever you need to build up an HTML table of data from a set of records. 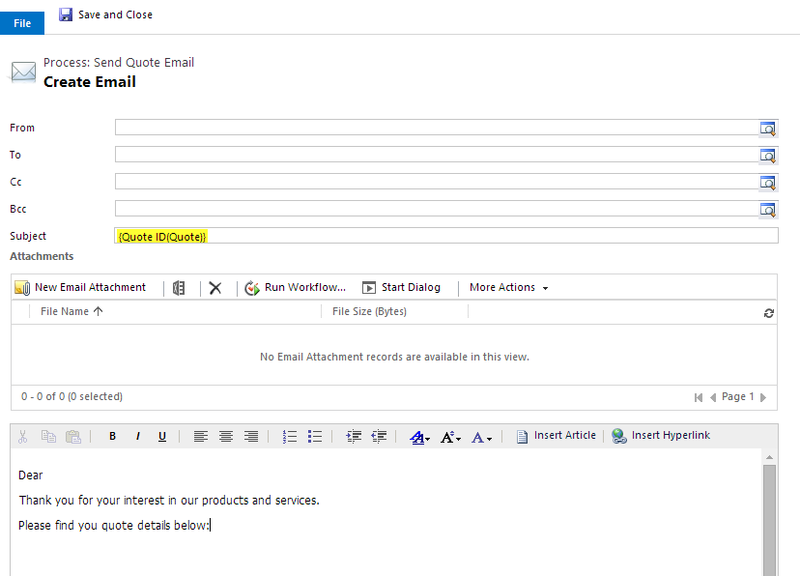 Create a new workflow process for the Quote entity to run as an on-demand real-time process. 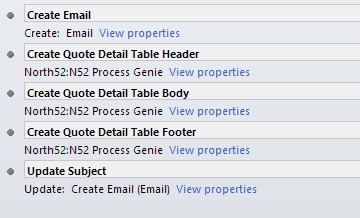 The individual Process Genie steps will be configured as shown below. The short-code for each formula can be found in the top right hand corner of each formula.